Denison Mines Corp. (“Denison” or the “Company”) (DML.TO)(NYSE MKT:DNN) is pleased to announce the receipt of US$1,250,000 in initial payments from Uranium Industry a.s. (“Uranium Industry”), of the Czech Republic, and the closing of the sale of its interest in the Gurvan Saihan joint venture (“GSJV”), pursuant to an amended and restated share purchase agreement (the “Agreement”) entered into on November 25, 2015. Under the terms of the Agreement, Denison received US$1,250,000 on or prior to Closing (as defined in the Agreement), and has rights to receive additional proceeds from the sale of up to US$12,000,000, for total consideration of US$13,250,000. The Agreement replaces the share purchase agreement entered into in July 2015 (the “Previous Agreement”), which did not close as anticipated. The Previous Agreement contemplated a less sizeable cash payment on closing (US$250,000) and a deferred payment of US$19,750,000, which was to be made only in the event that all the mining licences for each of the Hairhan, Haraat, Gurvan Saihan and Ulzit projects were granted to the GSJV on or before November 30, 2015. Uranium Industry is based in the Czech Republic and has unique experience in the geology, mining and processing of uranium, and is the successor to a 75 year tradition of uranium mining and environmental remediation of uranium mines in the Czech Republic. Uranium Industry is currently focused on geologic prospecting, mining, and processing of uranium ore in foreign countries that have traditionally had ongoing relations with the Czech Republic. Uranium Industry is active in Mongolia and established the Mon Czech Uranium joint venture with Mon-Atom LLC on June 17, 2015. During the course of its ownership of the GSJV, Denison has carried out considerable work towards the submission of the mining licence applications. 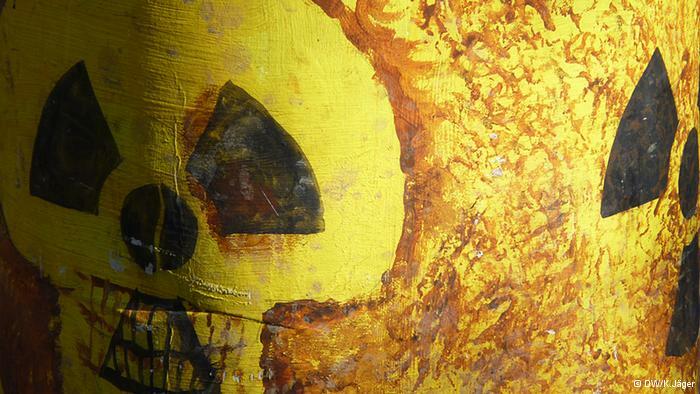 Uranium Industry has agreed to cause the GSJV to apply for the mining licences, for the four areas currently covered by the GSJV exploration licences, on the basis of the applications that have been compiled and prepared by Denison prior to closing. Failure to apply for the mining licences by December 7, 2015 will result in the Contingent Payments becoming due immediately. Denison is a uranium exploration and development company with interests focused in the Athabasca Basin region of northern Saskatchewan. Including its 60% owned Wheeler River project, which hosts the high grade Phoenix and Gryphon uranium deposits, Denison’s exploration portfolio consists of numerous projects covering over 390,000 hectares in the eastern Athabasca Basin. Denison’s interests in Saskatchewan also include a 22.5% ownership interest in the McClean Lake joint venture, which includes several uranium deposits and the McClean Lake uranium mill, which is currently processing ore from the Cigar Lake mine under a toll milling agreement, plus a 25.17% interest in the Midwest deposit and a 61.55% interest in the J Zone deposit on the Waterbury Lake property. Both the Midwest and J Zone deposits are located within 20 kilometres of the McClean Lake mill. Internationally, Denison owns 100% of the conventional heap leach Mutanga project in Zambia, 100% of the uranium/copper/silver Falea project in Mali, and a 90% interest in the Dome project in Namibia. Certain information contained in this press release constitutes “forward-looking information”, within the meaning of the United States Private Securities Litigation Reform Act of 1995 and similar Canadian legislation concerning the business, operations and financial performance and condition of Denison. Generally, these forward-looking statements can be identified by the use of forward-looking terminology such as “plans”, “expects” or “does not expect”, “budget”, “scheduled”, “estimates”, “forecasts”, “intends”, “anticipates” or “does not anticipate”, or “believes”, or variations of such words and phrases or state that certain actions, events or results “may”, “could”, “would”, “might” or “will be taken”, “occur”, “be achieved” or “has the potential to”. In particular, this press release contains forward-looking information pertaining to the following: the anticipated submission of the mining licence applications, the likelihood and anticipated timing for the receipt of mining licences, and the continued development of Denison’s properties. Forward looking statements are based on the opinions and estimates of management as of the date such statements are made, and they are subject to known and unknown risks, uncertainties and other factors that may cause the actual results, level of activity, performance or achievements of Denison to be materially different from those expressed or implied by such forward-looking statements. Denison believes that the expectations reflected in this forward-looking information are reasonable but there can be no assurance that such statements will prove to be accurate and may differ materially from those anticipated in this forward looking information. For a discussion in respect of risks and other factors that could influence forward-looking events, please refer to the “Risk Factors” in Denison’s Annual Information Form dated March 5, 2015 available under its profile at www.sedar.com and in its Form 40-F available at www.sec.gov/edgar.shtml. Accordingly, readers should not place undue reliance on forward-looking statements. These factors are not, and should not be construed as being, exhaustive. The forward-looking information contained in this press release is expressly qualified by this cautionary statement. Denison does not undertake any obligation to publicly update or revise any forward-looking information after the date of this press release to conform such information to actual results or to changes in its expectations except as otherwise required by applicable legislation.